Also called tornado shelters and weather safe shelters, a storm shelter is a bunker, cellar or room that is designed to withstand the onslaught of severe weather conditions. They are especially useful in those areas that experience a great deal of tornado activity, such as in the Midwest and Southeastern portions of the United States. What are the Best Kinds of Storm Shelters? 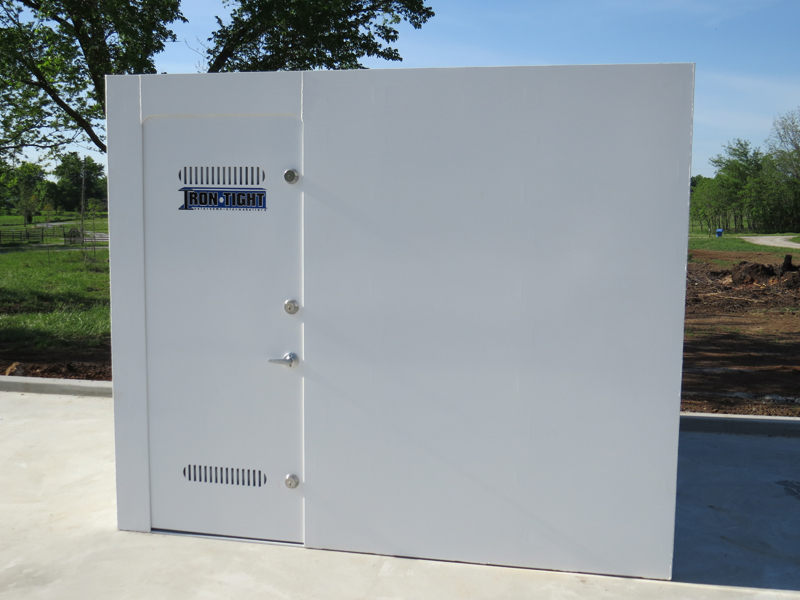 Iron Tight Storm Shelters offer you peace of mind when severe weather strikes, with a storm shelter that is proven to withstand the strongest tornado or hurricane. Our Iron Tight shelters have been tested by the Texas Tech Wind Science and Engineering Center, and meet or exceed F.E.M.A. specifications. All units hold an F5 rating. We are also members of the American Tornado Shelter Association (ATSA). 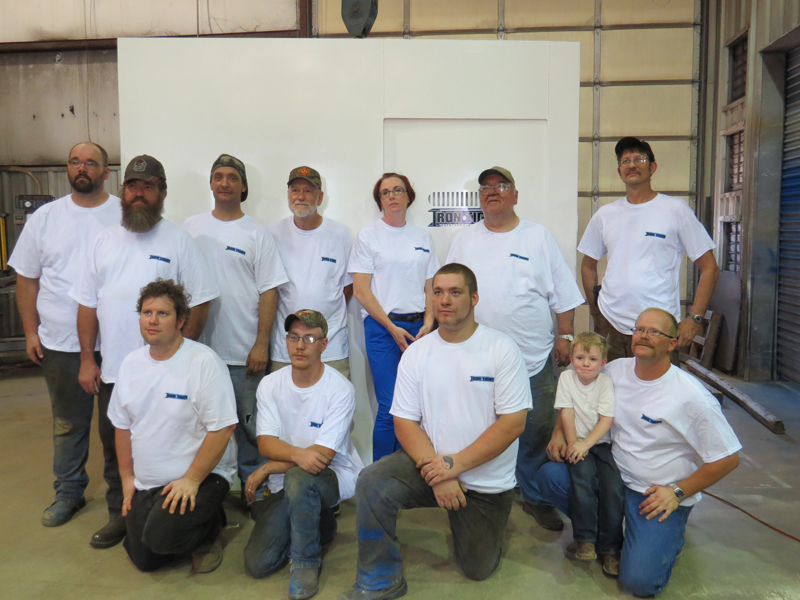 Iron Tight Saferooms and Storm Shelters are offered in all sizes, ranging from 4’ x 6’ up to 9’ x 14’, as well as custom orders. In order to meet the needs of each of our customers, we offer a choice of 12gauge steel, 3/16" steel, and 1/4" steel. For more detailed information on the sizing of our storm shelters, Click Here. Each unit has an inward swinging door that includes an emergency escape feature, making it nearly impossible to be trapped inside. All our safe rooms and storm shelters feature three Medeco Maxum stainless steel, commercial grade locking deadbolts, all keyed alike. Medeco Maxum Locks Thanks to the deadbolts, Iron Tight storm shelters can also serve as a safe/vault for firearms and valuables. The 1/4" Saferoom is also bullet resistant allowing it to serve as an intruder saferoom, making it the #1 Saferoom offering the BEST protection for your family and valuables. Give us a call today - One of our knowledgeable representatives will assist you in selecting a F.E.M.A standard storm shelter that will meet your needs. We pride ourselves on protecting you and your family against severe weather.